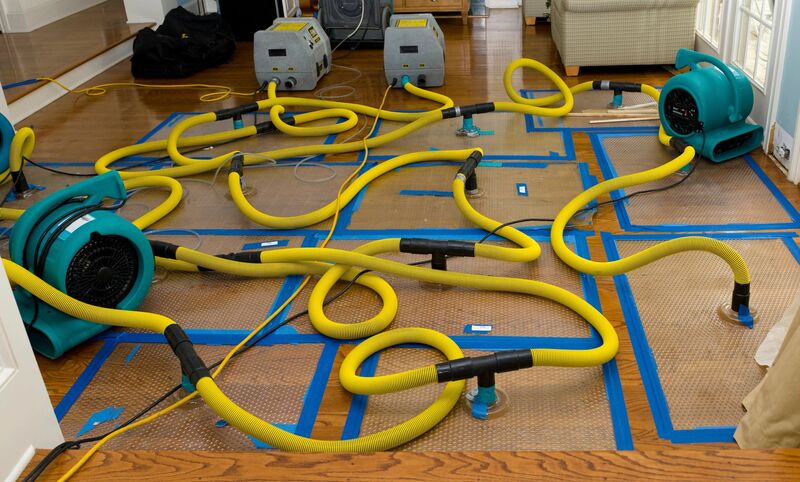 When flooding suddenly takes over a home or business, the first thought is usually about water damage cleanup. Flooding usually occurs unexpectedly, so few people are prepared for what to do next, unless they work for a water restoration company. If your Gainesville home or business has experienced flooding caused by heavy rains or water overflow from clogged drains or burst pipes, you can follow these tips to help you get your building dry and safe once again. When the water covering your floors comes from a sink faucet that was left on too long, it is referred to as white water, because it is uncontaminated. Water coming from appliances, toilets, and drains are referred to as gray water, because it is probably contaminated with pollutants such as urine and microbial particulates. Black water is the most unsanitary type, and it usually comes from sewage systems, septic tanks, toilets, and outside sources. It’s important to understand the different types of water contamination, so that you take precautions when you tackle water damage cleanup to handle the mess created by the flooding. You should avoid getting any of the water on your skin whenever possible. You should also wear waterproof boots if you need to wade through the water while removing it. Consider wearing a mask so that you can avoid breathing in airborne particulates. Waterproof gloves can be used to keep contaminated water from touching your hands, especially if you are moving items that have become soaked during the flooding. One of the easiest ways to keep your family safe is to call in a team of professionals who are trained to conduct water damage cleanup. Many Florida homes will experience runoff from thunderstorms bringing heavy rains into the area. Be prepared with the phone number of a company handling water damage clean ups, just in case you need to use it during the next hurricane season or an unexpected problem with an appliance, toilet, or plumbing system.